Prior to the 11g release of the SOA Suite end-to-end trackig&tracing of messages send out from OESB or BPEL via Oracle Integration B2B 10g, was not supported out-of-the box, because Oracle Integration B2B 10g was/is not part of the 10.1.3.x SOA Suite Suite. You always had to build custom code to enable end-to-end tracking & tracing of messages in such environments. Because B2B is now fully integrated into the SOA Suite, it becomes possible to easily end-to-end B2B messages using composite sensors. 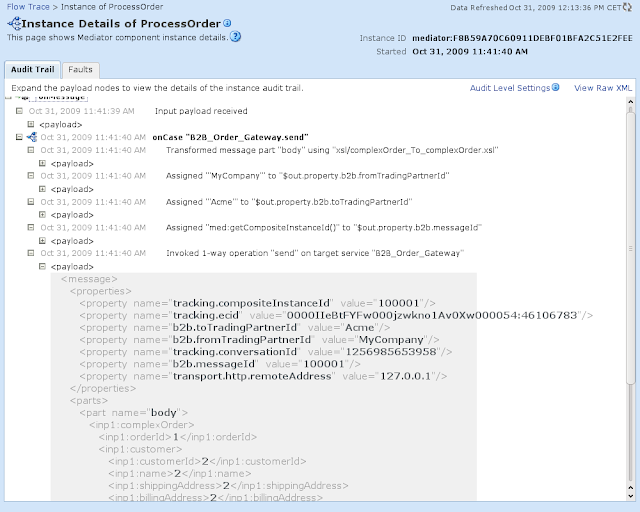 How to use composite sensors in common is described here by the Oracle SOA Suite PM team. Ok..but how can you use this feature to end-to-end track B2B messages that are submitted from a composite to Oracle B2B or vice-versa? Actually, it's quite simple. Below I will describe what you have to do at design-time and run-time to track B2B messages using the B2B message id as an example. At the B2B adapter in JDeveloper composite editor we define a composite sensor named order_msgid (assuming you are using the example that I have given in a previous posting on this blog) and assign it the value of the b2b property b2b.messageId. In my example I use an outbound scenario, so to make it work I have to set the message id in the composite instead of delegating the creation of the message id to B2B. 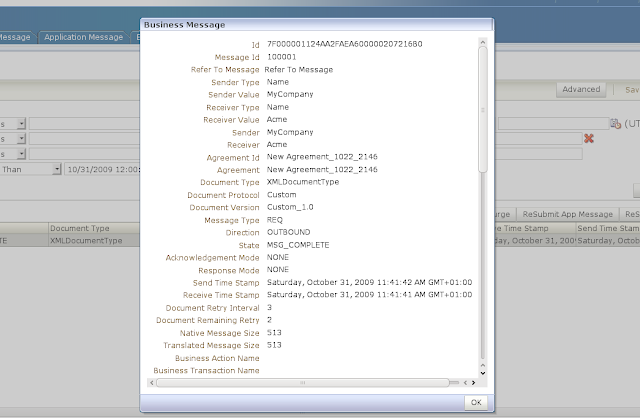 In the mediator component I set the value of the b2b.messageId to the compositeInstanceId. At design time, we are finished now..so deploy your sensorized composite to the server. You now can search in the EM composite instances tab for a specific instance using the B2B message id. This becomes very useful when the number of composite instances becomes very large in a production environment and maintenance team quickly wants to track down the flow of a specific B2B message in case of issues with that message.. Please let me know,how to retrive and process the B2B message id in case of inbound transactions. 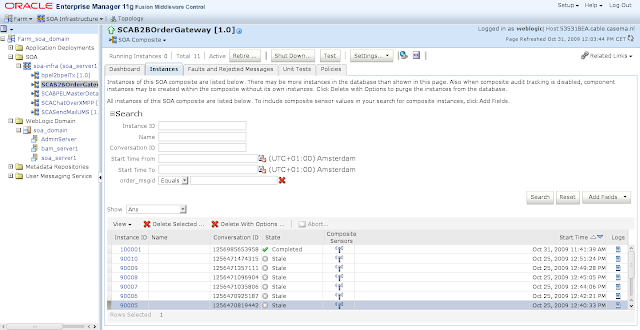 I want to use B2B generated message id in the inbound messages to the BPEL through AQ.